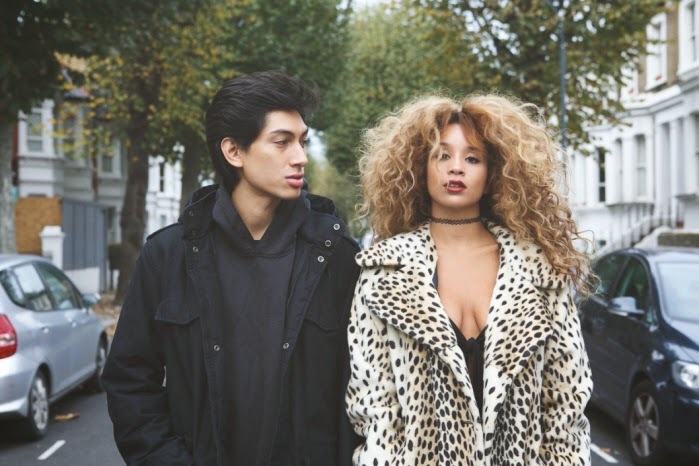 Throw up your gold bracelets and let your cape catch wind as Lion Babe has got the empowering backing track for all your evil force fighting needs. With "Wonder Woman", the New York-based duo have crafted yet another heater, this time with the aid of Pharrell Williams who drops them into a nice (and *ahem* original) vat of plucky sparse funk that is very Neptunes-y, but also provokes a little of Betty Davis' snarly '70s rebel yells for added garnish. Don't count out lead lioness, Jillian Hervey, though, as she fiercely lays down the law amid bass licks and P's ad-libs about how one should treat a lady, snapping out great lines like: You don't wanna see what happens when I get provoked, you don't wanna go there / See me spin around, see me swing my golden rope. ...and with that nobody ever needed to put baby in a catcalling corner ever again. The end. Lion Babe are clearly on a roll with big tours (they wrapped up with The Roots and are now heading overseas to Europe with Seniabo Sey) and even bigger name collaborators on their roster (look out for upcoming works with Q-Tip and Mark Ronson), and we should all continue to roll with them as they punch out the patriarchy and lay on the saucy soul-funk for all the super dames and dudes out there.